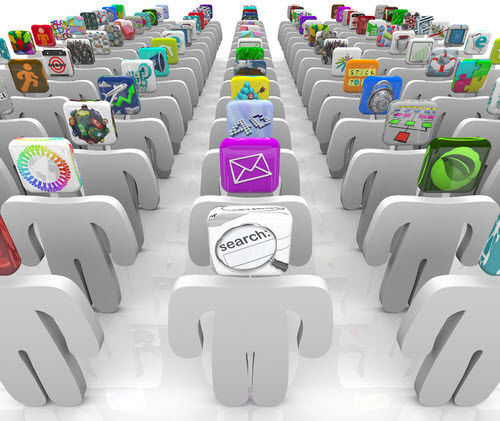 Mobile and consumerization — keys for event-based Social BPM? I really appreciated the provocative post by Chris Taylor on the potential of Social BPM to replace emails in business processes. While I see the final statement there a little bit too optimistic, total replacement is definitely in my dreams and I agree on the general trend. Actually, I see we are already in a hybrid situation where email or text messaging is still needed for notifying people (especially end users) but with respect to the past they tend to be just reminders or references to the actual info, which is stored on a (web) system. The reason for this is sometimes different than BPM practices. For instance, you may think about your online bank statement: you get a notification email what it’s available, but then you access it through the bank site. To have them on the web and not within an email is more a matter of security and compliance than of BPM implementation, but what’s interesting is that these small steps are slowly shaping the attitude and the minds towards expecting all behaviour and content to be on a system. 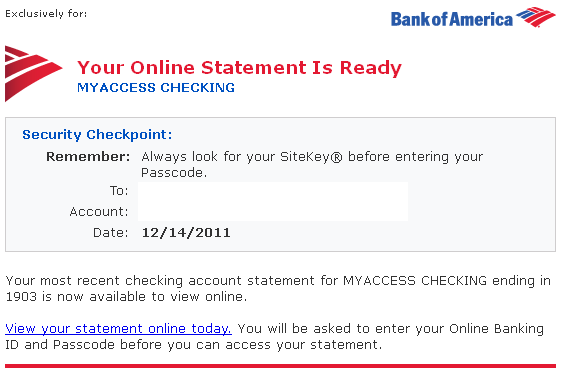 Example of bank statement notification. But this has still to come.. However, I’m not really concerned about the notification phase toward the user, since this is anyway something coming from the enterprise systems. The critical point is to capture the behaviour of the user and the action he performs in response to the trigger. This is what would bring the maximum value to the enterprise in understanding the actual “hidden” procedures that go on within the company or at its borders. This is the part where email falls short, because email activities cannot be traced in the general case. However, for this I see an even longer way to adoption.